At EverQuest Recruiting, we do one thing – finding executive talent solutions for the hospitality industry – and what we do, we do exceptionally well. We’re committed to finding the best candidates because our success is contingent upon your satisfaction. We establish long term relationships with our clients and candidates, as time and time again, our candidates become clients, and our clients become candidates. Our goal is to learn about your business model, history, and culture. We’ll also ask about the challenges to be overcome and the key requirements for success that you need from the ideal candidate in order to strengthen your organization. 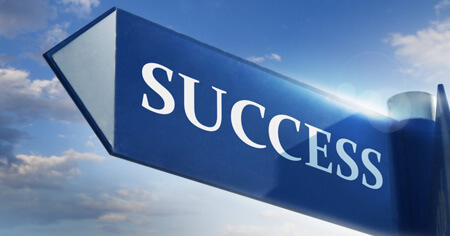 We have an outstanding record of success, with no replacements and an extensive list of satisfied and repeat clients. Our clients greatly appreciate our ability to provide one-on-one service, as well as our ability to enrich their organizations with people that truly are the precise fit. When we accept a job search, we guarantee we will give it our all to find you the best qualified candidates and we will make your priority our top priority. We understand the time sensitivity of having key positions open and the hardship it can create on the team, the guests and the profits. We thoroughly screen candidates to ensure that they have the appropriate qualifications to meet – and preferably exceed – your performance requirements. We work transparently with both our clients and candidates. To that end, we share with the candidate as much information about the job as we do about the management team and the culture of your organization. EverQuest Recruiting ensures that every candidate we present to you has been properly filtered. This approach means we will not inundate you with scores of useless resumes. We only seek quality candidates that demonstrate prior success. Going the extra mile to service your needs is what executive staffing service is all about! EverQuest Recruiting provides you with more than just the candidate’s resume. We take the time to source valuable background information and provide a full presentation including skills, salary history, reasons for leaving prior positions, references, and other critical information that that will help you quickly advance towards finding the best fit. At EverQuest Recruiting, we are determined to ensure that your organization is strengthened with leaders who possess acute decision-making abilities. We stand behind our candidates and our work includes a full guarantee as we seek to establish long term relationships and your confidence in our ability to execute.